This beautiful beaded bracelet from the Thomas Sabo Love Bridge collection is bright and stylish with a mix of semi-precious beads. This colourful design has a flexible fit for an easy addition to your bracelet stack. 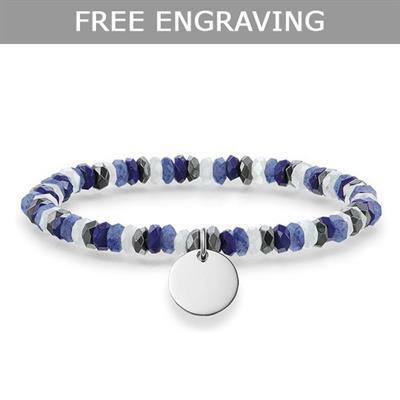 This Love Bridge bracelet includes a 925 sterling silver disc charm that can be engraved. Stones include faceted lapis lazuli, dumortierite, white jade and hematite.